EATON Metered ePDUs, designed for high-density, mission critical server applications, provides maximum power in a small chassis. Employing multiple configurations, the Easy-Read digital ammeter and clearly labeled circuits, the ePDU assures easy management and monitoring for current requirements and future expansion. The ammeter can automatically scroll through parameters of up to eight circuits or can be scrolled manually. The LED is large and bright and can be viewed from afar and through perforations in the cabinets. Datacenter grade receptacles ensure maximum reliability and fault-tolerance. Easy-Read digital ammeter reduces local monitoring time. True RMS ammeter provides accurate power measurement. Integrated isolation mounting hardware provides maximum enclosure integrity. Tool-less, Key-hole mounting improves installation flexibility. Adjustable fixed mounting improves left-right and top-down space management. Torque-controlled mechanical connections increases product fault tolerance and MTBF. Integrated grounding bus increases product reliability. 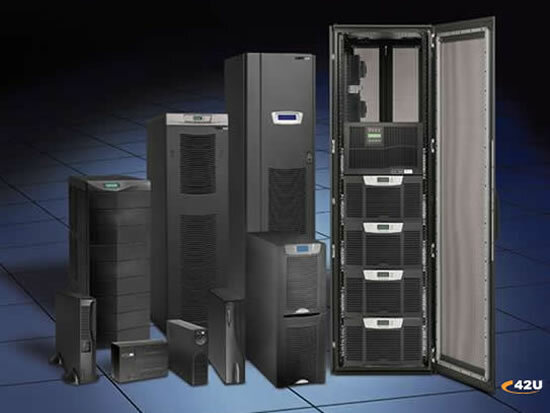 Eaton’s diverse offering of integrated rackmount power distribution units, or ePDUs, includes models for both data center and test and measurement applications. Pow-R-Flex Low Ampere Busway provides flexible power distribution solutions for many applications where change and adaptation are important, and its heavy-duty design does not sacrifice on aesthetics. The latest design in a family of innovative busway products, it is the newest of its kind in the industry.